If you find yourself in need of protecting your rights as an employee, a Pasadena employment law attorney from Rager Law Firm will be one of the best in California. You may have heard about the changes in U.S. tax legislation, and the resulting plans from various companies to use the new laws to give something back to their employees. If you haven’t heard about it, and you happen to work at Home Depot, you’ve a pleasant surprise coming your way. After Boeing, Starbucks, Walmart and AT&T announced their intention to pay higher wages, salaries and bonuses, Home Depot have joined the gang and are set to do the same. Every U.S Home Depot employee will receive a one-off bonus of between $200 and $1000, depending on length of service. 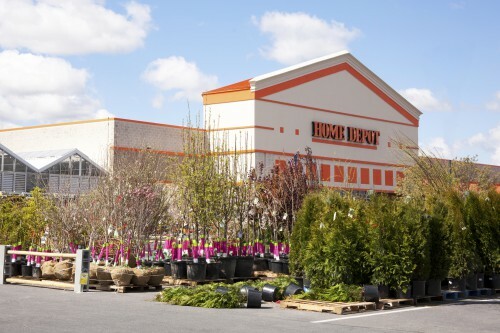 While the bonuses are a one-time-only offer, Home Depot have stated that they intend to continue investment in their workforce in the future, with more information to be announced by the end of the month. Home Depot employees may have some good news in store, and yet more to come, but working life isn’t always a positive experience. At Rager Law Firm, we have extensive experience of helping people facing all manner of workplace issues, whether that involves discrimination, harassment, wrongful termination, or an Equal Pay Act violation. In fact, bonus time can lead to some of the negatives as well as the positives. If you find yourself in need of protecting your rights as an employee, a Pasadena employment law attorney from Rager Law Firm will be one of the best in California. When you’ve been unfairly treated at work, whatever the nature of that mistreatment, you can lose some faith in both your ability to do your job, and in your employer for allowing it to happen. It’s not impossible to rectify the situation and give you back some peace of mind and, of course, your livelihood. To discuss your employment law case with an experienced Pasadena attorney, book a free initial consultation by calling Rager Law Firm today on 310-527-6994. One of our skilled legal team will meet with you to talk about your workplace experiences and identify the best way to proceed.